We did it again…but in fairness, Friday is usually a night we make it a point to eat out. It’s like a little celebration that we made it through the week. Since we had a pretty heavy lunch, neither of us was in the mood for typical pub grub like we usually go for. Instead, I picked a place that we would usually reserve for lunch. 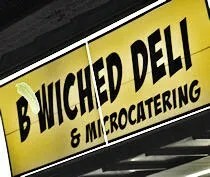 B’Wiched Deli & Microcatering is on the corner of Drake Road and Main Street in a shopping center that is in-freaki-possible to get in to. Whoever designed this thing should be drug outside and beat with a wet noodle. If you turn in at the street before it, you would assume there would be an entrance. You’d assume wrong. You can drive all the way around it from Main to Drake and there’s not one accessible entrance. I had to exit out to Drake Road and turn around and head back. When I did that, I found what I thought was an entrance until two cars doubled up to exit. It was an exit only so I swerved back in to traffic and found the entrance which is pretty much only accessible from the turn lane from Drake to West Main. Once we did finally get in, we were surprised to find the place packed. We got there around 7:00 and they were only open until 8:00. I figured we’d be interrupting closing, but I was wrong. They only have six tables, but five of them was full and a couple of those were pushed together for a large group. Ordering is done at a counter that backs up to the kitchen. I had read their chicken strips were good, but they only have them on Friday. We were there on Friday. Neither of us ordered the chicken strips. Bad move. We saw another table with them and three chicken strip took up a whole plate. They were HUGE. Probably could have fed a family of three. Instead, we both went with 1/2 sandwiches. Again, we were still pretty full from lunch. Hunger was just starting to set in. We put in our order then took a seat at one of the pub tables near the window. They had four of these tables and one regular table. They also had these cute little two tops that faced the window with a couple stools. Other than that the decor is pretty bland. White walls with some newspaper clippings. Nothing exciting, but it doesn’t need to be when your food is good. J ordered the White Russian which is smoked turkey breast, baby Swiss cheese, home-made coleslaw and sautéed onions on grilled pumpernickel rye bread. She left the onions off. The sandwich also came with home-made chips which were delicious. I love the fact that they take the time to make their own chips. It’s something not many people do and you can taste such a huge difference when places take the time to do things right. As for the sandwich, she loved it. It was the perfect size for her and she said everything was delicious. I ordered the Two Beef or Not Two Beef. 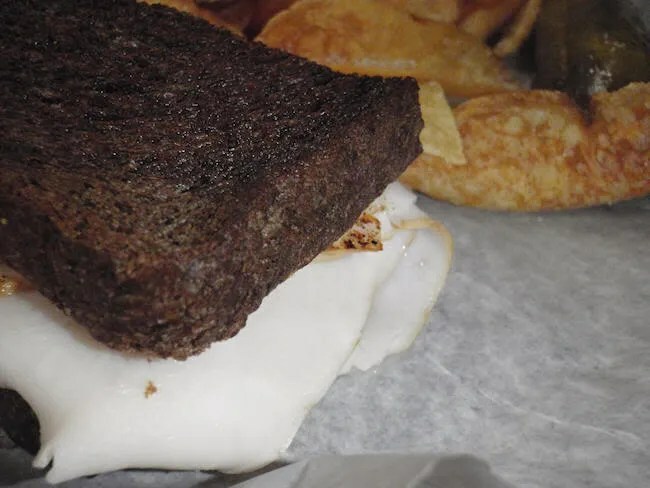 Funny name for a sandwich that is corned beef, pastrami, baby Swiss, Muenster cheese, whole grain and yellow mustard with lettuce and tomato on beer mustard bread. Did I mention B’Wiched makes all their own breads? Just thought I should point that out. The sandwich was delicious. It was much bigger than I expected. It was sort of like a baby NY Deli sandwich. As for the meats, I’m not an expert. 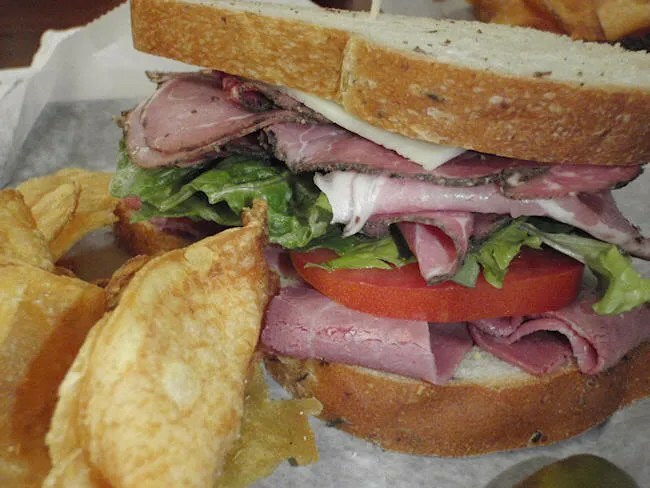 I know there’s a lot of passion involved with pastrami. While I totally understand why people get so worked up over it, it’s not something I’m passionate about. I don’t know a great one from a good one or an authentic one from a knockoff. What I do know is I liked the meats B’Wiched used on my sandwich. Like J, I got chips with my sandwich and I couldn’t get enough of them. I really thought about going to buy some more. They were so good. The damage was just a little over $13. That is one of the cheapest meals we’ve eaten in a while and one of the cheapest, non-fast food dinners ever. On top of that, it was delicious. 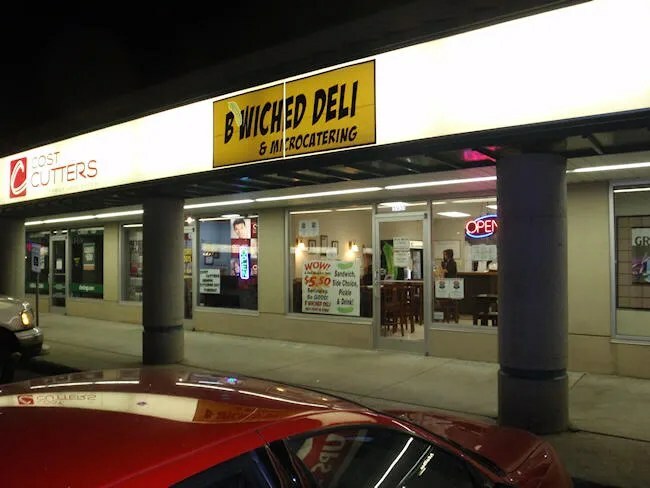 I’ve seen other reviews that call B’Wiched one of Kalamazoo’s hidden gems. It’s definitely hidden and it easily a gem.